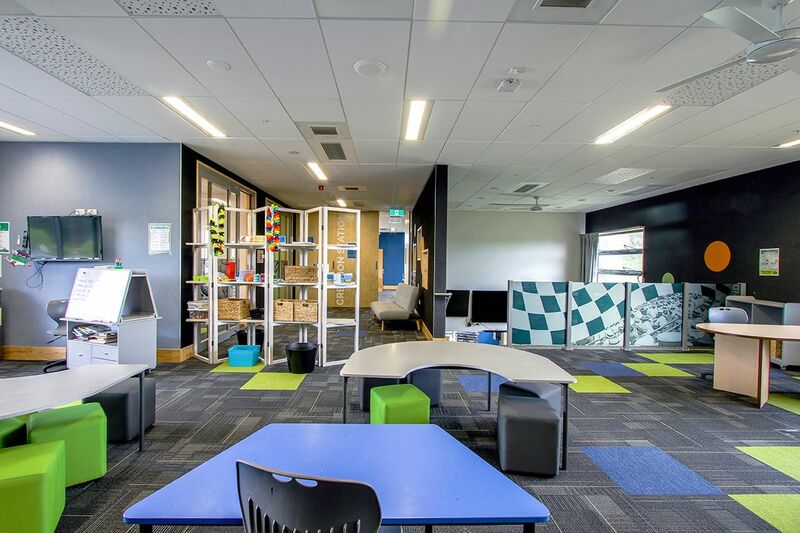 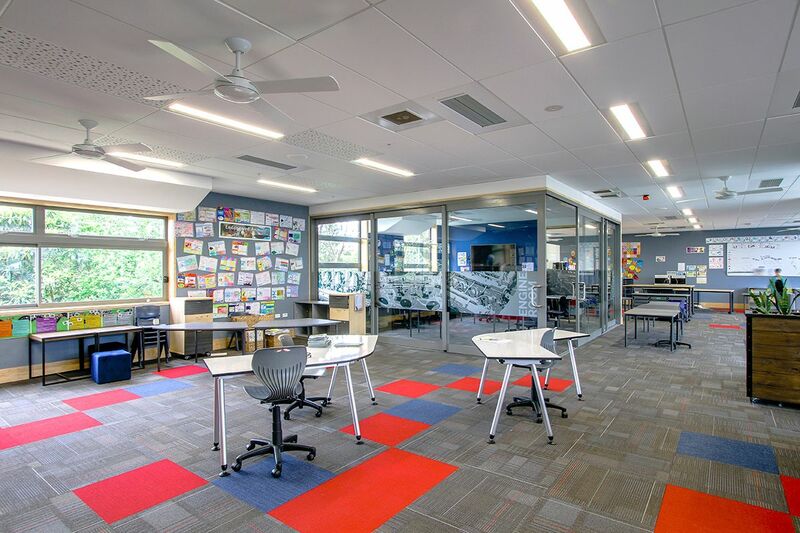 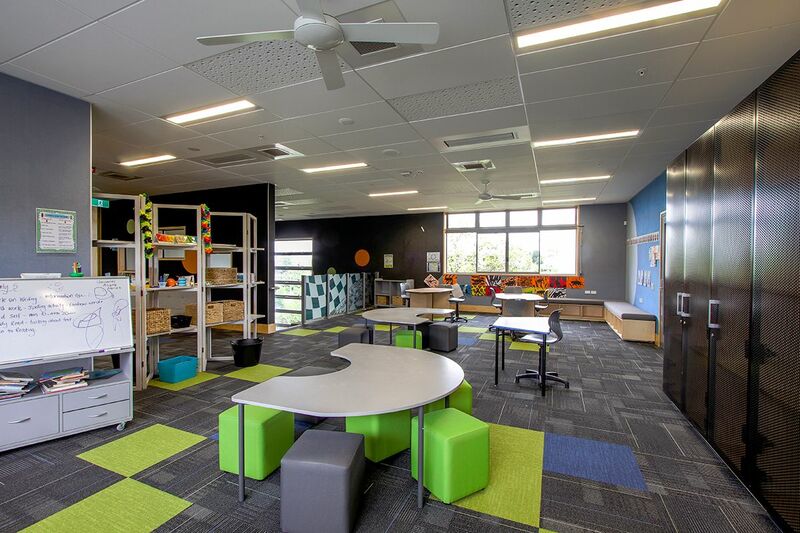 Riverhead School is the latest Innovative Learning Environment to come from school experts, Pacific Environments NZ Ltd. A bright and fun lineal classroom arrangement is divided up by themed breakout spaces. 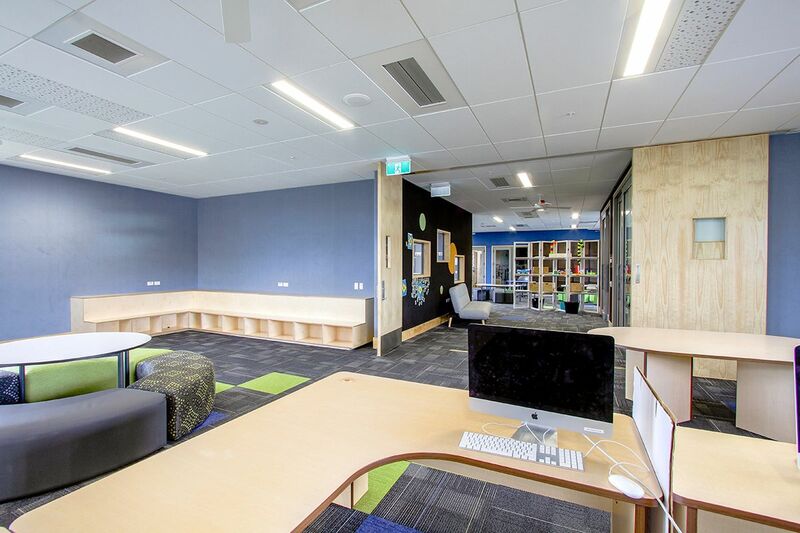 Acoustic performance is at the very top of the Ministry of Education Designing Quality Learning Spaces (DQLS) performance criteria, with C Max Absorb and 15mm CBI Grid ceilings throughout. 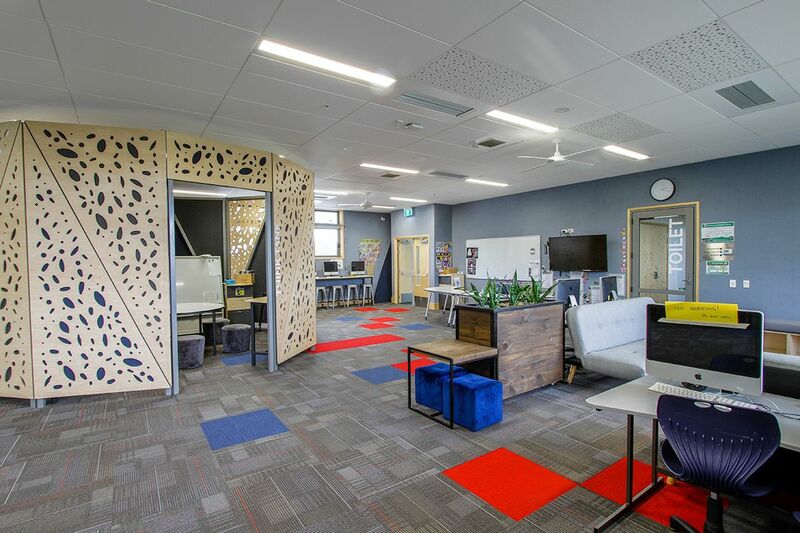 Neutral, calming blue and grey hues of Autex Composition on the walls are combined with pops of bright colour in the selected carpet tiles. 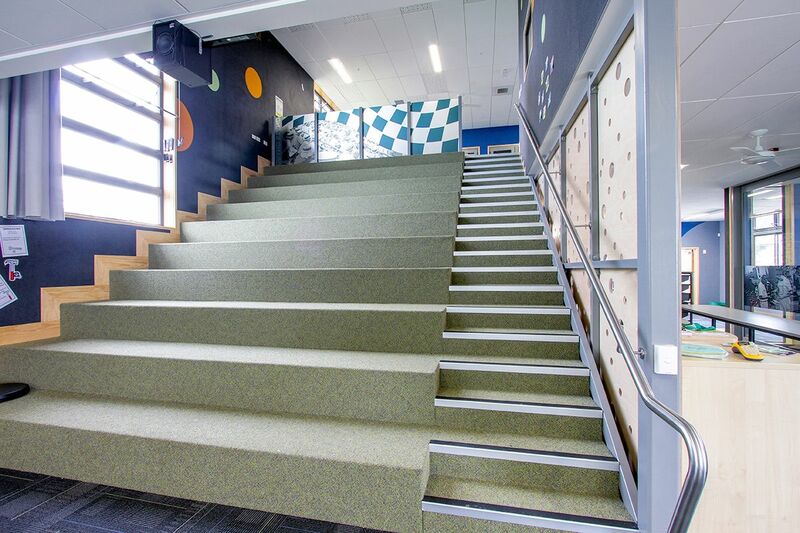 The use of occasional perforated tiles and plywood walls provides a playful touch, including a clever hidey-hole for kids to crawl into under the large stairs, which double as terraced seating for lecture-style classes.